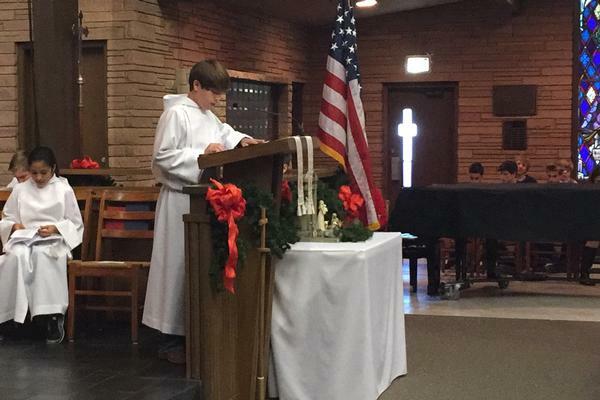 Trinity Episcopal School celebrates daily chapel services. 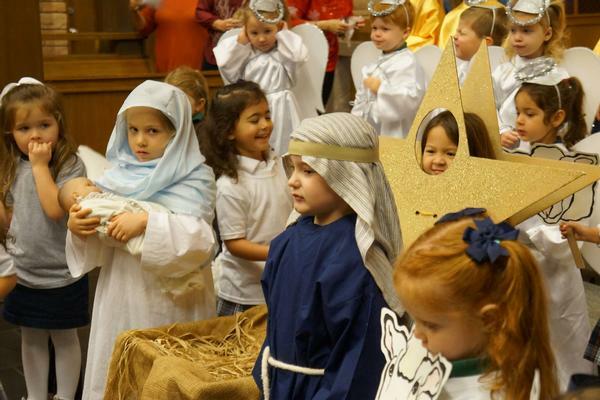 Parents are welcome to join their child for chapel any or every day. 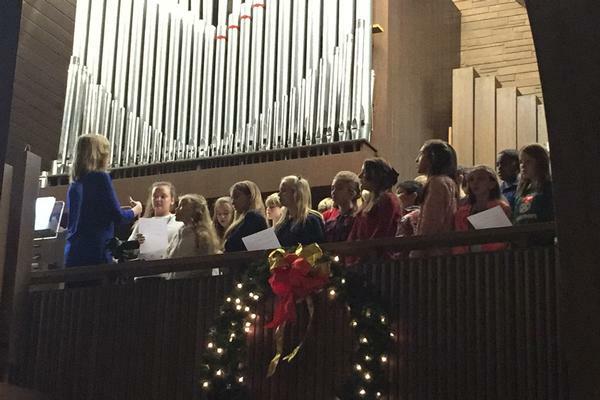 Episcopal school worship embodies the convictions that Christian life is lived out and practiced in community; through corporate prayer and thanksgiving. We are reconciled and renewed to “go in peace to love and serve the Lord.” Episcopal schools have been established … as diverse ministries of educational and human formation for people of all faiths and backgrounds. … We seek to welcome, affirm, and support the spiritual development of students of all faiths or no faith at all. Chapel services are every Monday, Wednesday, and Friday and alternating Thursdays at 8:05 AM in the sanctuary. 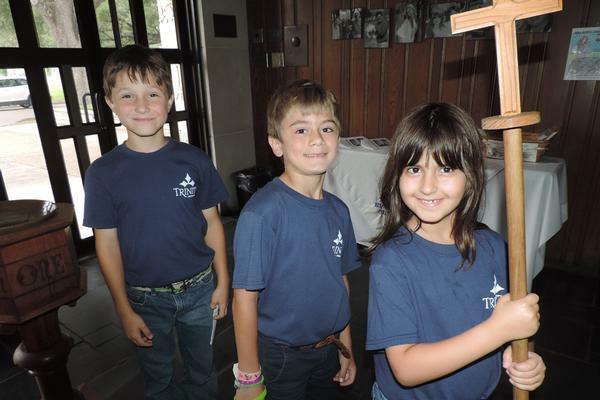 On the Thursdays noted as "Chapel Buddy Time", chapel buddy classes will meet together and build those cross-grade relationships that are so important to fostering the sense of community within our school. All students will be involved in leading chapel at some point during the year. 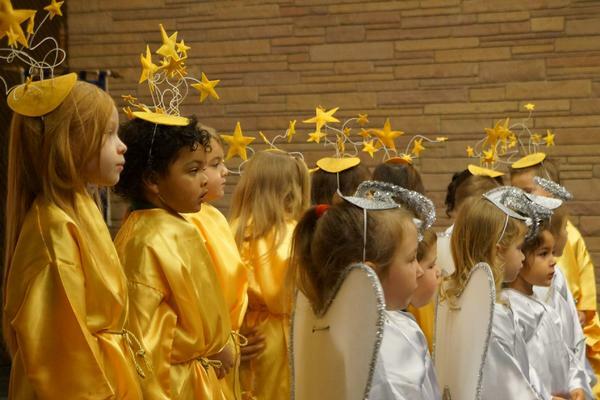 Parents will be notified by email the week prior to their student’s service. K3 to 1st graders serve as crucifers. 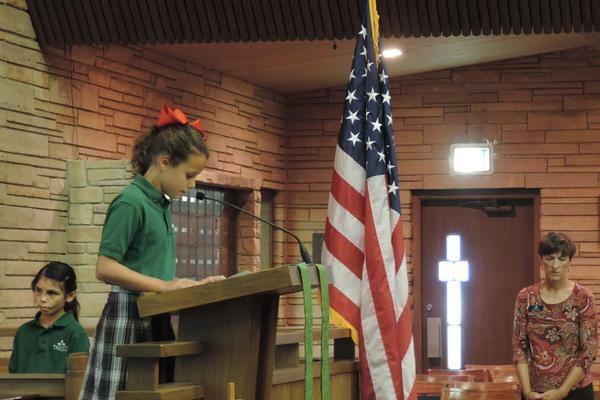 2nd through 5th graders lead us in prayers and the Pledge of Allegiance. Middle school students read the scripture lesson for the week and assist with technology and have the opportunity to help plan chapel services through volunteering to serve on the Middle School Student Vestry. 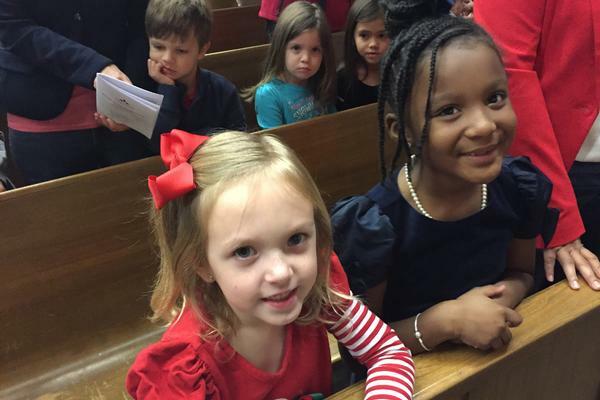 Chapel buddies are a wonderful tradition at Trinity, where older students are paired with the younger students to provide guidance and a set of helping hands during chapel. It is an important way we foster a sense of belonging to the larger Trinity family and building connections between students in different grades. Eucharist, or Holy Communion, is celebrated the first Wednesday of every month. During the serving of Communion, students are welcome to come forward and partake of the elements, come forward for a blessing, or sit quietly in their pew. 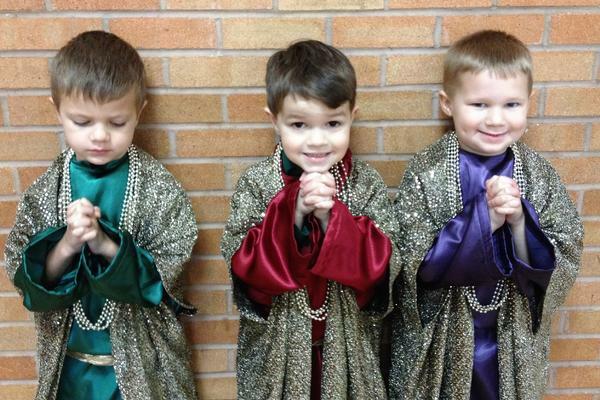 How your child participates in Communion is up to you and your family’s faith tradition.